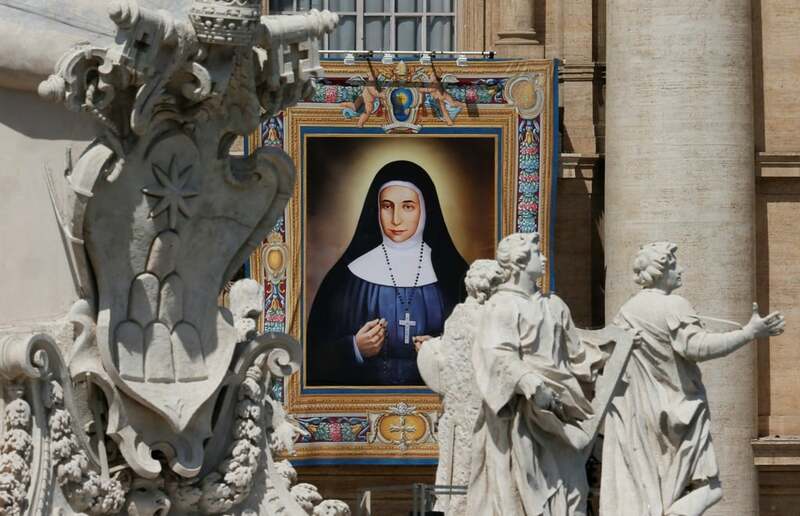 Dear Father, an Australian friend recently went to Rome for the canonisation of a relative, Sr Marie-Alphonsine, and although she told me something about her, I did not get a clear picture. Can you tell me more about her? Sr Marie-Alphonsine Danil Ghattas was born Soultaneh Marie to a devout Palestinian family in Jerusalem on 4 October 1843. Her mother Catherine attended Mass every day and her father Daniel hosted a group of neighbours and friends every evening to recite the Rosary before a statue of the Blessed Virgin Mary. Soultaneh Marie was 14 when she felt the call to religious life and in 1860 joined the Congregation of St Joseph of the Apparition, taking the name Marie-Alphonsine. She had a calm, thoughtful personality and was exceptionally humble. In 1862 she was sent to teach catechism in Bethlehem, where she established religious associations promoting devotion to Our Lady through the Rosary. At that time Our Lady began to appear to her, asking her to found a Palestinian congregation to be known as the Sisters of the Rosary. The apparitions went on for four years. Our Lady referred her to Fr Yussef Tannous, a Latin Patriarchate priest, who was to become her spiritual father and the apparent founder of the congregation, since Sr Marie-Alphonsine preferred to remain in the background. Out of humility she revealed the apparitions only to Fr Tannous. They remained a secret for 53 years, coming to light only because Fr Tannous asked her to write down what she had seen and heard. While Our Lady had been very clear about making the new foundation, Sr Marie-Alphonsine found it very difficult to leave the Congregation of St Joseph, which she loved with all her heart. Finally, it was love for Our Lady and trust in her that moved her to leave and join the Sisters of Our Lady of the Rosary. The new foundation began in 1880, when seven girls prepared by Fr Tannous received the religious habit from the Patriarch. In 1883, with permission from the Holy See, Sr Marie-Alphonsine left the Sisters of St Joseph and entered the new congregation, receiving the habit on the feast of Our Lady of the Rosary, 7 October. It is the only Palestinian women’s religious congregation. Already during her lifetime Sr Marie-Alphonsine was credited with working a miracle. In July 1885 she was sent to Jaffa in Galilee with another nun. Sometime later a young girl named Nathira fell into a deep cistern filled with water. As there was no way to rescue her, Sr Marie-Alphonsine threw her large Rosary to her and asked Our Lady to save her, meanwhile saying the Rosary with some young people. Nathira emerged from the cistern alive and well. She later said she had seen a great light and a ladder in the form of a Rosary to help her climb out. In 1886 Sr Marie-Alphonsine founded a school for girls in Beit Sahour and in 1893 she established a workshop in Bethlehem to provide work for poor girls. She also worked in Salt, Nablus, Jerusalem, Zababdeh, and finally Ain Karem, where she established an orphanage. She died there praying the Rosary with her sister, Sr Hanneh Danil Ghattas, on the feast of the Annunciation, 25 March 1927. On 15 October, 1994, Pope John Paul II recognised her heroic virtues and on 22 November, 2009, she was beatified by Cardinal Angelo Amato, Prefect of the Congregation for the Causes of Saints, in the Basilica of the Annunciation in Nazareth. She was canonised in Rome by Pope Francis on 17 May, 2015, along with another Palestinian nun, Sr Miriam Bawardy, who was born in Galilee in 1843 and died in 1878. We pray that through their intercession Our Lord will bring peace to that troubled land.